We have a huge warehouse full of parts just waiting for you. Look up your parts and order them online or email us your list. You can also send us your model specifications and serial number and we will look your parts up for you. 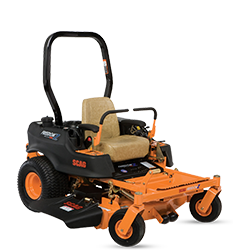 Ariens Walk-Behind Mowers: Click here to view our selection. Grower Equipment has been custom building sprayers for over 30 years. From 5 to 10,000 gallons, we can help you get the job done. Welcome to Grower Equipment & Supply Co.
Grower Equipment is a family owned commercial power equipment dealer located in Hainesville, Illinois. We were founded in 1979 and our emphasis has always been to provide dependable service and the highest quality commercial power equipment to our customers. We provide equipment for lawn maintenance, landscape installations, property management, government services, horse arenas, fruit and vegetable growers, cemetery maintenance, construction, golf course maintenance, nurseries, and residential users. Grower Equipment has been manufacturing custom built sprayers for 31 years. We can custom build a sprayer to fit your needs from 5 gallons to 1,000 gallons. You can request single or multiple tanks, hose reels, or pump and engine combos. There is no such thing as impossible when it comes to Grower custom building you a sprayer. We also handle Hardi and John Bean (Durand Wayland) sprayers. We stock spray booms, boom parts, and boom fittings. We can even build you a boom from scratch. Our sprayers are used for turf, orchard, nursery, air-blast, and de-icing. We have parts and complete spray pumps in stock for Ace, Hypro, Comet, John Bean, Hardi, SHURflo, and more. 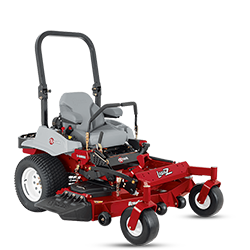 We sell and service commercial mowers made by Befco, Exmark, Gravely, Hover Mower, Howard Price, Scag,Ventrac, and Wright (Stander). 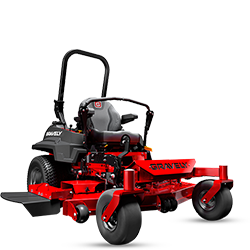 We also sell residential mowers made by Ariens and Honda. 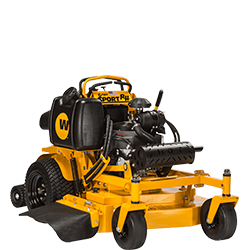 We represent over 90 lines of commercial equipment, such as blowers, chainsaws, edgers, hedge trimmers, pond maintenance products, pruning equipment, sod cutters, and tillers. 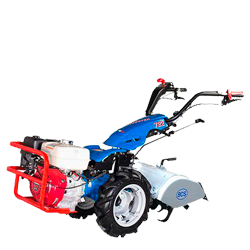 Our manufacturers include Ars, BCS, ECHO Bear Cat, Befco, Billy Goat, Bluebird, Briggs & Stratton, Buckingham, Bushhog, Comet pumps, Cox hose reels, DOLMAR, ECHO, Felco, Fred Marvin, Grower Sprayers, Hannay hose reels, Hypro, John Bean sprayers, Kawasaki, Kohler, Kubota, Little Wonder, Lombardini, Marvin, Parker, Ramrod, RedMax, Rhino, Ryan, SnowEx, STIHL, Tanaka, TeeJet, Terramite, Vicon, Wisconsin engines, Yanmar engines, and more. See the complete list in our catalog. Our parts room is huge and stocked with over 300,000 parts. Grower is committed to providing you with fast friendly service and the highest quality parts available. We, along with the original equipment manufacturer, recommend using OEM parts. OEM parts are designed for your specific piece of equipment or engine by the manufacturer. OEM parts come with a manufacturer's warranty and are guaranteed to fit. For the individuals looking for less expensive parts, we also carry the most common aftermarket parts. With our large parts inventory, full service department, and factory trained technicians, we are able to quickly get you back to work making money. GIVE US A TRY! Don't have the cash to buy that machine you have had your eye on? We have financing programs for just about any item you have in mind! Make sure to give us a call or stop in at our store.